Formulated with powerful broad spectrum essential oils such as Tea Tree, Oregano, and a proprietary blend of 5 additional essential oils and botanicals. Purely Northwest Antifungal foot and body soap is a powerful blend of essential oils specifically formulated to help combat multiple strains of fungus, and bacteria. 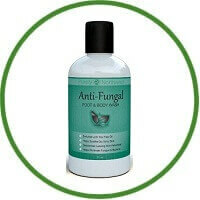 Purely Northwest Antifungal foot and body soap is a powerful blend of essential oils specifically formulated to help combat multiple strains of fungus, and bacteria. This Antifungal soap helps eliminate itching, dryness, burning, and excessive odour associated with sweating and common skin problems such as Athletes foot, Toenail Fungus, Ringworm, Tinea Vesicular & Jock Itch. People who are active in martial arts, running, cycling or workout regularly at the gym. 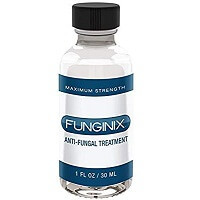 This Anti-Fungal soap helps fight and prevent Athletes Foot, Ringworm, Jock Itch and other infections that may be picked up from gym equipment, mats, and public showers. People who suffer from Foot Odour, Body Odour, Acne and Skin Rashes caused by excessive sweating. Parents who have kids that play sports. Use daily after practice and games to wash away sweat, fungus and bacteria picked up from other players, gym showers and mats. People combating stubborn infections such as Toenail Fungus, Athletes foot, Ringworm, Body acne, Jock itch and Yeast Infections.